For the past few days I've gone back and forth with myself as to whether or not I was ready to put this out into the universe. Then, tonight, I read something that my amazing friend, Joel, wrote. (Yes, Joel..you are amazing, all survivors are.) I read his post and then we were texting back and forth. Joel always encourages me to write, to share, and to be me...and this...this post is a part of me. See that graphic on the left? 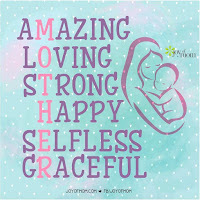 I found that when I was looking for something that said what a mother is. Here's a secret that I haven't shared with anyone who isn't exceptionally close to me. My mother was none of those things. Amazing - My mother was determined to be a part of my life, when she felt like it, when it made her look good. Loving - The first lie I ever remember my mother telling me happened when I was in no more than the first or second grade. I'm still waiting for that dollhouse with the electric lights. Strong - My mother couldn't be without a man that she put in front of her children. Happy - I guess I can't speak to this, but my mother never seemed happy, certainly not when she was screaming at me that she hated me, wished I'd never been born, and that I'd ruined her life. Selfless - My mother dropped me off at my grandparents' house when I was still a toddler because she couldn't be bothered to be a mother. Graceful - My mother has never accepted anything or acted with grace. She'll lie to your face if she thinks it will get you out of the way and then do whatever she'd planned to begin with. I've heard her talk behind my back when she thought she couldn't hear me and she tore me apart in front of my children. I no longer have a relationship with my mother, but she has affected every inch of my life for the past 39 years. 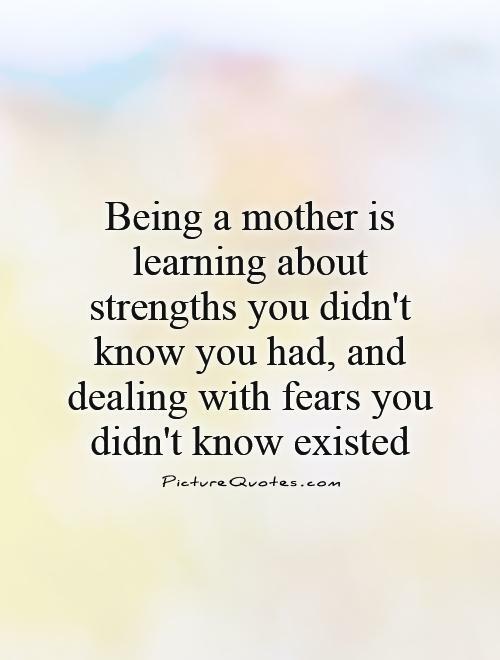 I used to say that I learned how not to be a parent by being the daughter of my mother. People will point out that I was raised by my grandparents. That's true and they weren't bad people, but they'd already raised their children, my grandfather had health problems and my younger sister who was his princess. For the most part, I was left to raise myself while they dealt with my mother's drama or my sister. It left me clueless about so many things and left gaps that I had to try to fill in myself. When my own children came along, I was terrified. What if I were like my mother? What if I was a terrible parent? What if my children turned out like me, broken at the core and left to try to rebuild themselves? My boys are teenagers now and I still live in fear that I'm doing something wrong. Am I too tough on them? Not tough enough? Do they know how much I love them? Have I been able to instill the confidence in them that I never had without it crossing over to them being egotistical idiots? Am I raising them to be independent, giving, loving members of society who only want to improve upon what's here? Mother's Day is a love, hate, panic kind of day for me every year. 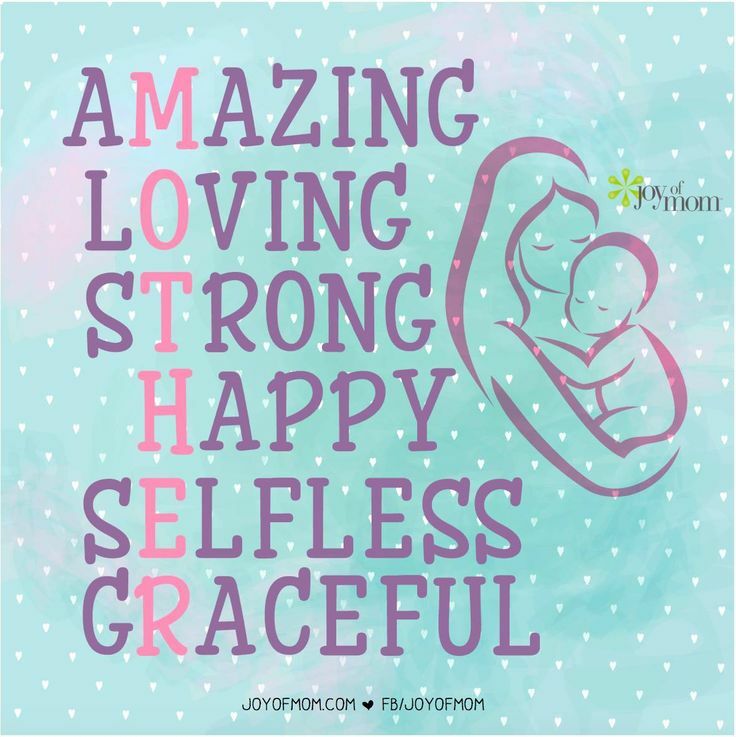 I have no mother to celebrate or appreciate. I declared myself an orphan and I meant it. As hard as it was, removing the toxicity of my birth family was one of the best decisions that I made. Still I mourn not having the kind of relationships that I see on tv, in the movies, or even with a few friends and their parents. As a mother myself, I long for the breakfasts in bed, the days off, the hey let's do whatever mom wants today kind of mother's days. Part of me judges how good of a mother I am by that one day a year. As a mother to teenage boys, I know how ridiculous that is and sometimes I cling to the little things like Roger wanting to go grocery shopping with me because he was bored and I'm pretty fun to talk to..or Ben saying he'll help me with the house by doing dishes if I want. 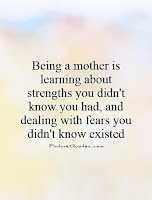 Still, my heart worries and it takes my head right along with it and in the end, mother's day...a day to celebrate me just leaves me in tears, completely rung out.